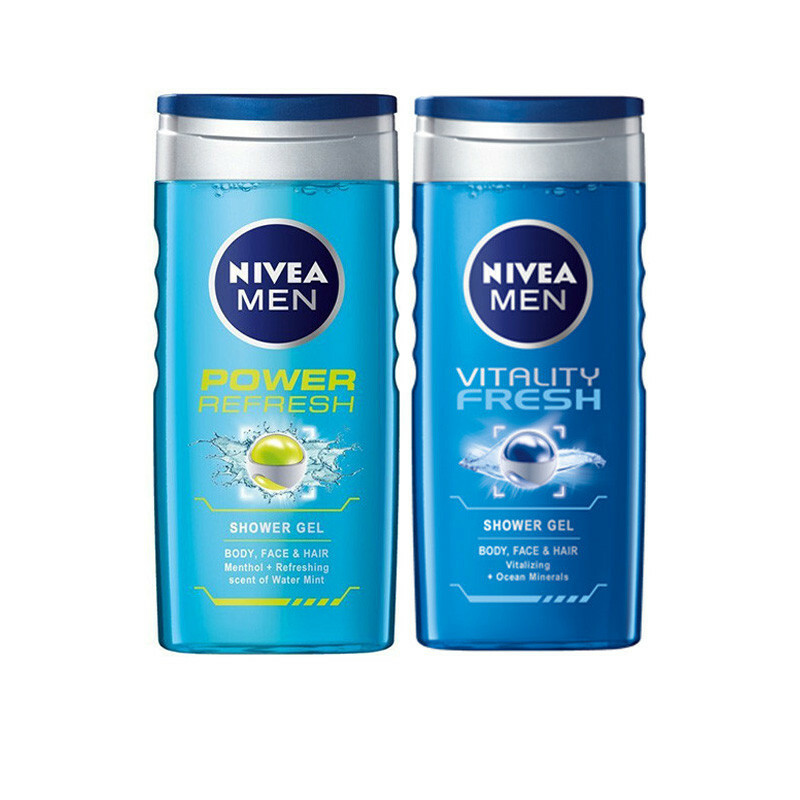 This nivea shower gel combo is Leaves your body feeling cleansed, moisturized and cared for. Skin feels silky smooth and cool. Nivea vitality shower gel recharge and invigorate with every shower;pH Skin Balanced Skin Compatibility dermatologically approved and leaves your skin and hair feeling refreshed, revitalized and deeply cleansed.NIVEA Power Refresh Shower Gel, with its invigorating and refreshing fragrances of Menthol & Water Mint, is specially designed for men who crave that extra burst of freshness and Its caring formula is specially designed with a 3-n-1 action for Body, Hair & Face and Leaves your skin feeling fresh and cared for; pH Skin Balanced.